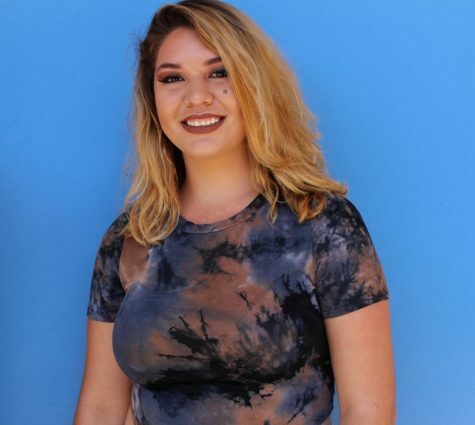 Karina Ruvalcaba is a senior at Birmingham Community Charter High School. As of right now she's the Vice President for the Literary Journal Club and the Creative Arts editor for the Patriot Post. She's been involved in extracurricular activities since sophomore year. She's an easygoing person, you'll always see her smiling or laughing in the halls. I wouldn't know if I should refer it to her as being stubborn in certain occasions or a person that just over protects what she believes. She is always trying to help in every way she possibly can. Karina is the type of person who you could go to when you need someone to talk to and will hear you out and give the best advise. In order to find solace she turns to writing she's more of a creative writer. Last school year she got four of her pieces published into the Birmingham Literary Journal, that included a short story and a few poems. At first, writing was just a way for her to distract herself and find peace but as time passed she caught herself doing it more frequently. It turned into a habit, creative and positive habit. Outside of school, she was the team sister her little brothers baseball team for the pass four seasons. Which included filling out all the paperwork and making sure everything was right and on time. Talking and informing the parents, organizing the practice and making game schedules. Also being able to answer any concerns a parent or the other teams may have. She was the first person they'll talk to even before the coach, she also kept score and pitch count. During season she technically lived on a schedule.